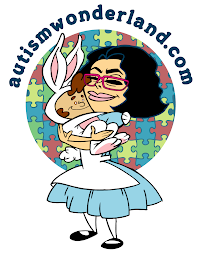 AutismWonderland: Autism & Angry Birds! I don't know about you all. 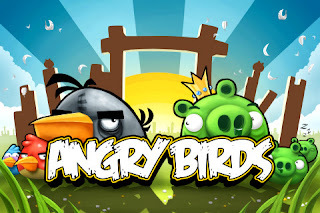 But I'm addicted to Angry Birds. I play it at home, on the train, during therapy sessions. The Boy loves it too - laughing while I play - he calls it "Birds Go Boom.' The Boy likes to see me lose. Last week I had my CPSE Annual Review meeting. It went well, so much better than I anticipated. We got to keep our hours and we switched SEIT service provider agencies and I'm satisfied. I was so happy with how the meeting went - I even sent the CPSE administrator a thank you card! Because ultimately, she was great. And then the bomb drops. Our Turning 5 meeting scheduled for next week gets cancelled. No explanations. No reschedule date. You know when you're playing a game of Angry Birds and you're just on a roll. Smashing through wood, cement and ice easily. Three stars! Move on the next level. And then - you get to a board that you cannot pass. Your birds are bruised, unable to penetrate through, flying above target and the pigs remain unscathed, laughing at you. That is exactly how I'm feeling. I am the birds, the Department of Education are the pigs. And the Turning 5 meeting is the wood, cement, ice - the obstacles I'm smashing up against with no success. I am stuck on a board, that no matter what I try I cannot seem to pass. But still I keep playing. Eventually I'll win. Maybe with three stars. Maybe not. Or maybe I'll be lucky enough to get the Golden Egg! Or maybe not. But I'm determined to get to the next level.